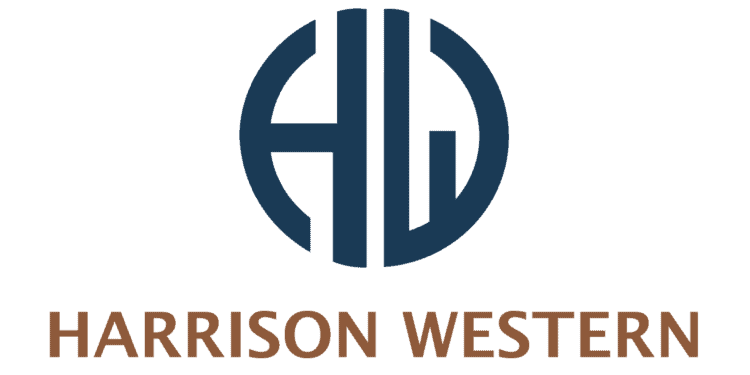 Harrison Western was contracted to extend a shaft, rehabilitate and enlarge an existing drift, and install a conveyor and crusher at Nyrstar’s Elmwood Mine in central Tennessee. 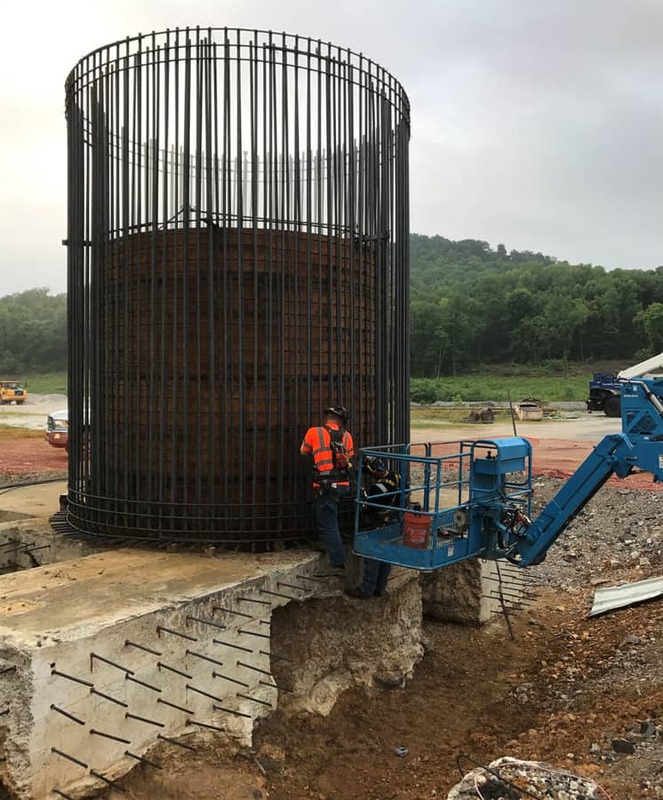 The shaft and collar extension (picture above) involved removing the old headframe and hoist, forming and pouring the shaft lining concrete, and placing 9,000 cy of clay fill and armoring (325 tn) around the extension. The shaft was extended 20 feet higher in order to accommodate a tailings dam raise. 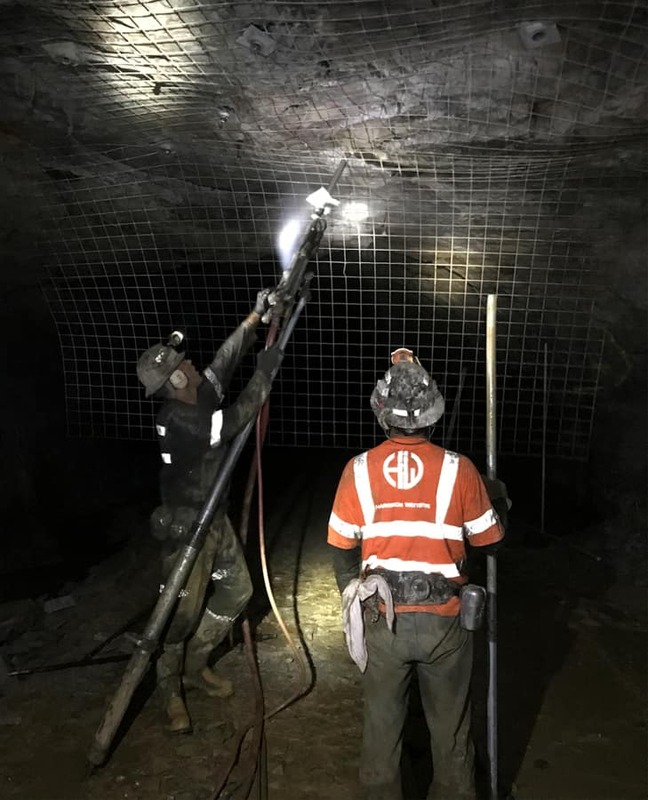 We rehabilitated and enlarged 14,000 lf of existing drift by drilling and blasting, scaling, bolting, removing rail and utilities, and leveling and grading the invert. 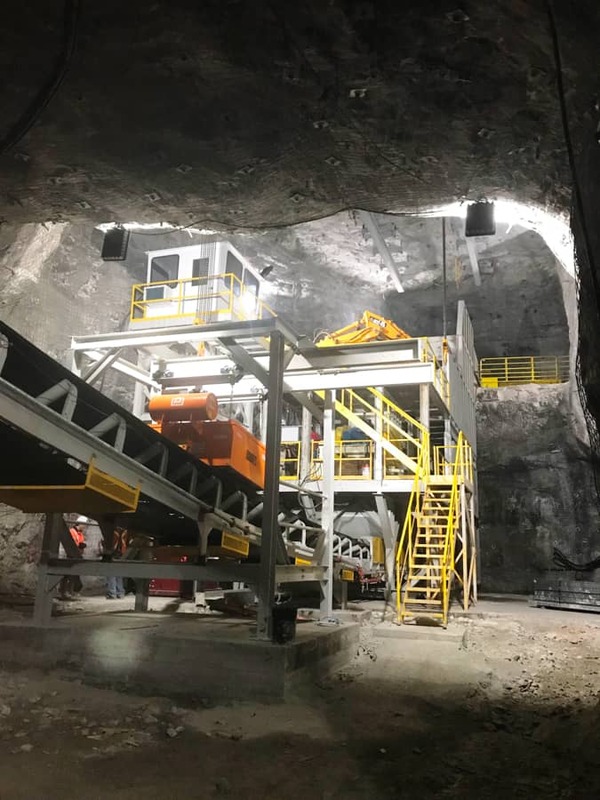 We then installed a 14,000 lf, 5-belt conveyor unit, and a new crusher tower, feeder, jaw crusher, and breaker.